Codeine is a sleep-inducing prescription narcotic and a cough suppressant. Derived from morphine, codeine is similar to other drugs in the opioid class like Vicodin and Percocet. And like these other drugs, codeine is highly addictive and habit-forming. It binds to the opiate receptors in the brain, blocking pain sensations and giving the user a feeling of euphoria. The drug also causes drowsiness and depressed breathing. Taken with alcohol, it can be dangerous. Mostly, the drug is only given to patients for a short period because of its addictive qualities. Unfortunately, people who take the medication as prescribed can find themselves quickly developing a tolerance to the drug. If their pain and tolerance aren’t managed properly, they can turn to other opioid medications once the codeine prescription is finished. Addiction to opioid pain relievers like codeine has skyrocketed in the United States over the last few years. Overdose death rates from opioids quadrupled from 1999 to 2008, and over 2 million Americans aged 12 and older struggle with opioid addiction. Worse yet, once people with an opioid addiction run out of prescription pills, they will often turn to heroin to feed their addiction. Over half a million people in the United States are currently struggling with a heroin addiction. Individuals who wish to quit taking opioids will try to stop on their own, but withdrawal symptoms are painful and distressing. Relapse, or experiencing adverse health complications can arise during a cold-turkey or at-home detox. Fortunately, there is help available for people with codeine addiction. Medical detox centers, staffed with doctors and trained therapists 24/7, can alleviate some of the worst withdrawal symptoms and prevent relapse. What is the timeline for codeine withdrawal? There are three active phases of codeine withdrawal. The first phase will start in as little as four hours after the last dose. Usually, a person experiencing this early phase of withdrawal will feel flu-like symptoms and mild anxiety. During the second phase, which starts sometime between the first 24 hours and three days after the last dose, a person will experience more distressing and painful symptoms, such as depression and stomach upset. Within the first week, symptoms will peak. The third phase lasts anywhere from one week after the last dose and can linger for months. Depression and cravings for the drug are the most common lingering withdrawal symptoms. What are the physical symptoms and complications of codeine withdrawal? Physical symptoms can be distressing and if someone has any underlying physical health problems, especially cardiovascular issues, they may need beta-blockers to help them through the acute withdrawal phase. What are the psychological or emotional symptoms and complications of codeine withdrawal? Depression and cravings can linger for months and sometimes years after cessation. Replacement drugs, like methadone, may be recommended for people who are recovering from a codeine addiction. Is it safe to go ‘cold-turkey’ with a codeine addiction or should someone attend medical detox? It isn’t safe to go ‘cold-turkey.’ With a cold turkey detox, the body gets quite a shock when a substance it’s needed to function is suddenly withdrawn. Withdrawal symptoms are intense during a cold turkey detox. And if someone attempts to do this at home without supervision, they can experience serious medical problems. Medical detox facilities can give patients tapering off schedule or replace codeine with drugs like methadone to lessen withdrawal symptom. Also, depression is a typical experience with codeine withdrawal. Without help and supervision, people can become severely depressed, and self-harm or attempt suicide. They may even reach for other drugs or alcohol to deal with these withdrawal complications. But with a medical detox facility, doctors and therapists can adequately monitor patients for withdrawal complications. What is safe to take during codeine detox? Antidepressants are usually safe for people undergoing a codeine detox. Antidepressants can help someone with depression or anxiety. Doctors can even prescribe short-term sleep aids for insomnia and anti-nausea medications. Also, for cardiovascular complications, doctors can prescribe beta-blockers or blood pressure medication for patients in a medical detox facility. What isn’t safe while someone is detoxing from codeine? It isn’t safe for someone to detox from codeine unassisted. They can self-harm, end up in the ER, relapse, or self-medicate with other drugs or alcohol. It’s also not safe for someone to take caffeine during detox, because it can increase feelings of anxiety and also increase heart rate and blood pressure. What happens during the codeine withdrawal process? In a medical detox facility, patients are assessed for underlying physical and mental health conditions and for polydrug abuse. They are put on tapering off schedule and kept in a serene and supportive environment while they undergo withdrawals. Depending on their needs, they may need to take antidepressants or short-term sleep aids during this challenging time. After withdrawals subside, they can begin a stay at an inpatient rehab facility to learn how to live a successful, drug-free life outside of a hospital or medical setting. Ongoing maintenance plans are put in place from trained counselors, doctors, and social workers to lessen the chances of relapse. How is codeine withdrawal different from other opioids and sleeping aids? 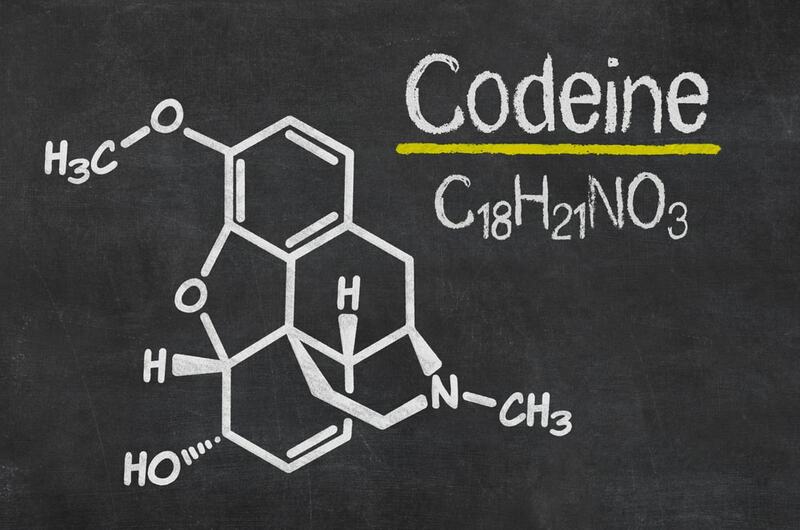 Codeine withdrawal acts in much the same way as other opioid drugs in its class. But because it is also used as a sleep aid, people are at risk of developing rebound insomnia when undergoing withdrawals. This isn’t much of a risk with other opioid drugs. Codeine withdrawal patients may need more help from doctors getting their sleep cycles back on track. How does codeine withdrawal differ for people? Codeine withdrawal will differ from person to person in longevity and intensity. A person’s physical and mental health, their age, and metabolic rate and how long they’ve been using all affect their outcomes. It’s crucial that people get help from trained professionals to prevent a relapse or serious medical complications during codeine withdrawal.